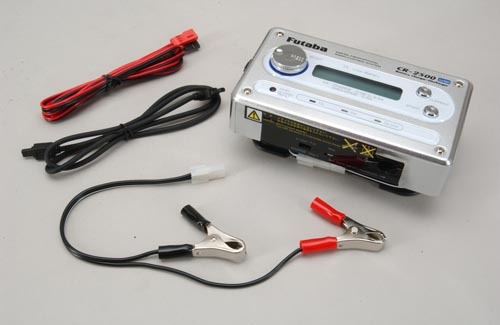 This high specification DC fast charger from Futaba is designed specifically to charge the 12Z/14MZ/FX40 Lithium Ion transmitter battery but can simultaneously fast charge a Nickel Cadmium and Nickel Metal Hydridereceiver or Glowstart battery. 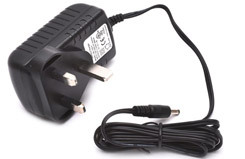 Constant current/constant voltage charge regime is used for the Li-Ion output, whilst delta peak charge termination is utilised for the Rx/glowstart output. 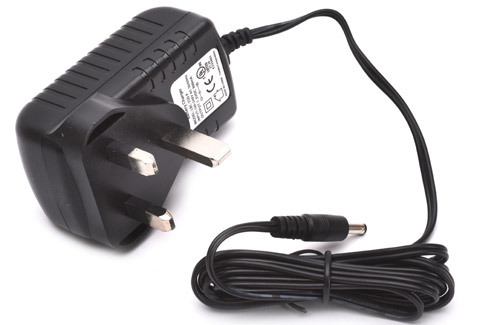 Supplied complete with a range of charge leads. This new dual output charger has been developed to suit the new Futaba 6J and 4YF radios as they use lower voltage transmitter packs than most previous radios. Both outputs are suitable to charge 4.8 or 6.0v Ni-MH battery packs, with a charge current of 600mAh and peak detect charge termination. 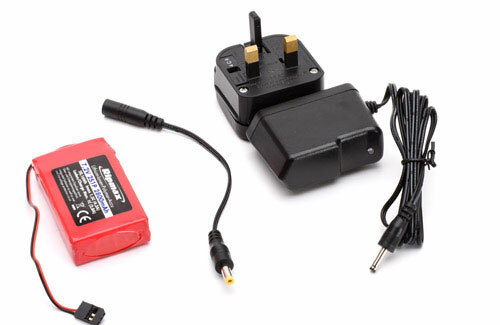 Both output leads have standard Futaba sockets to suit receiver charging, but supplied complete with the charger is a transmitter adapter lead for use with the new lower voltage transmitters. 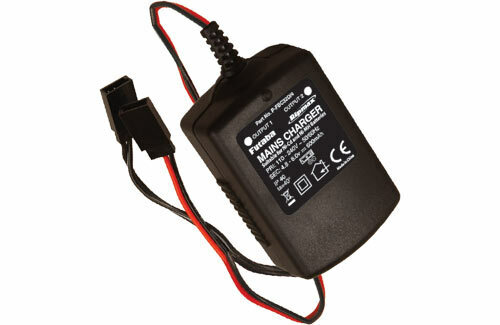 Originally developed for use with the 8FG and 12FG radios, the new FBC35D/4 charger has a 7.2v 170mAh output for the Tx battery and a 600mA 4.8 - 8.4v delta peak terminated output for the Rx battery pack, and can be used for both Ni-Cd and Ni-MH battery packs. 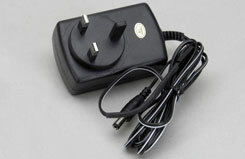 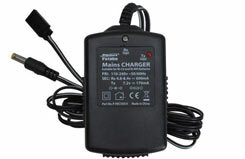 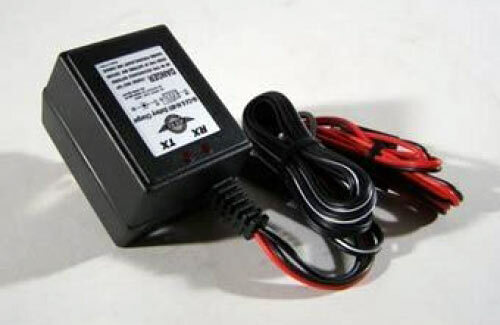 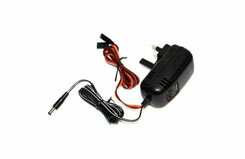 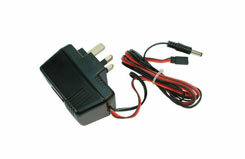 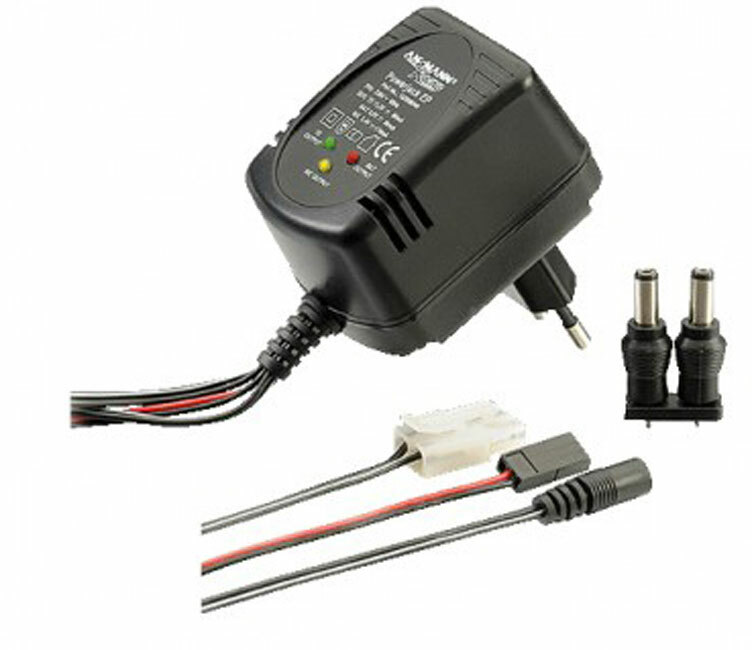 A UK style plug charger for used with 2S (6.6 V) Li-Fe batteries such as P-FT2F2100B.